Features a seat belt cutter, window breaker, 3"" blade and liner lock. These knives provide a sense of security for emergency professionals or to any potential interested bystander. Take the guesswork out of your tool kit with the M16- ER series folding knife. 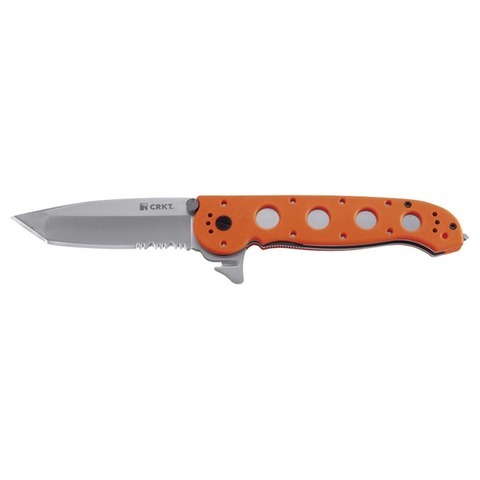 Blade Length: 3"; Closed Length 43/8"; Wt: 3.6 oz. "The M16 is an amazing all around knife. I love it."